Dedicated Professionals With One Goal: Your Healthy, Beautiful Smile! Meet the team at Healthy Smiles of Saint Louis who cares for you! Dr. Seaton graduated from the University of Missouri, Kansas City in 1982. He is one of an elite group of highly dedicated dental professionals who have pursued their continuing education at some of the most prestigious facilities in the country. 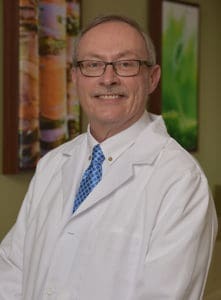 Dr. Seaton’s continuing education has included specialized courses in aesthetic and restorative dentistry, and occlusal (bite) treatment at the Kois Center and the Pankey Institute. 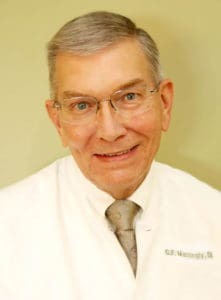 His training at the Dawson Academy has focused on diagnosing and treating disorders of the temporomandibular joint (TMD/TMJ), the techniques of splint therapy, and treatment of symptoms of sleep apnea. He has also pursued courses from Cranham Dental Seminars (now part of Dawson Academy) that focus on contemporary smile design and occlusal concepts, treatment planning, even digital photography and laboratory communications. 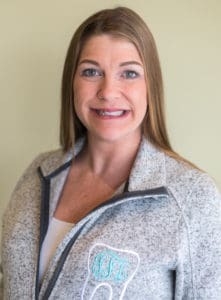 Dr. Seaton is a member of the American College of Dentists and a clinical associate professor at Southern Illinois University School of Dental Medicine. He is past president of GSLDS. Dr. Mattingly graduated from the University of Missouri, Kansas City in 1984. He has received specialized training from the Dawson Academy in the diagnosis and treatment of occlusal (bite) problems. He has also trained with Dr. Rhys Spoor, an internationally recognized expert in esthetic and restorative dentistry. Dr. Tarah Ridenbark is from the small town of Staunton, Illinois where she grew up on a farm raising various animals and growing crops. She has a wonderful, large family of two older brothers and two younger sisters. And she has recently been promoted to auntie! As a child, she enjoyed trips to the dentist and knew that’s what she wanted to do. 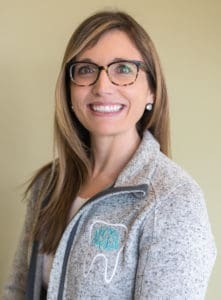 She received her Associates of Applied Science from Lewis and Clark Community College, Bachelors of Science in Biology from Southern Illinois University Edwardsville, and her Doctorate of Dental Medicine from Southern Illinois University School of Dental Medicine. 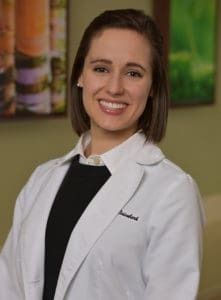 During dental school, she was able to provide many hours of community service and education, and she continues to volunteer in the community to this day. She also had the opportunity to attend a mission trip to Jamaica, where dental care was provided to thousands of people in need. She intends to volunteer for more missions trips in the future. Dr. Ridenbark enjoyed following in the footsteps of Dr. Flavin by participating in the Give Kids A Smile organization. In her free time, she enjoys spending time with her family, reading, and traveling. She’s a big fan of the Harry Potter book series, Taylor Swift, and the St. Louis Blues. Most of all, she loves spending time with her dog, Doc, and fiancé, Tyler. Mary attended Missouri College. She’s CDA certified with expanded functions in prosthodontics and restorative dental care, and has attended courses at the prestigious Spear Institute. She’s been working in dentistry for nearly two decades and has been with our team for almost ten years. In addition to her general front office duties, Mary is also our skilled human resources guru. Mary says her job is rewarding because of the relationships she’s formed with patients over the years. She was overwhelmed by the support she received when she had her twins. Mary says it’s truly amazing to see the generations of families – everyone from great grandkids to great grandparents. Outside of work, Mary stays busy taking care of her family which includes three daughters, a son, and a chocolate lab named Murphy. The family also loves to travel and work towards meeting their goal of traveling to all of our nation’s national parks. 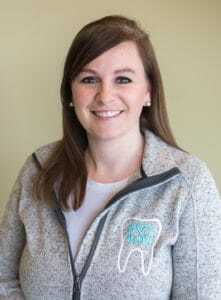 Erin is a graduate of St. Louis Community College at Forest Park with a decade of dentistry experience under her belt. She’s been a part of the Healthy Smiles of St. Louis family for almost a decade. You might find Erin educating patients, cleaning perio pockets, taking extraoral photos, taking X-rays, conducting oral cancer screenings, and cleaning teeth. Erin says her job is rewarding because she’s able to help people better their health and form close bonds with them. She’s proud to be a part of a team that develops these close relationships with people while focusing on their individual wants and needs. Outside of the office, Erin run regularly and plays on a co-ed soccer team. She’s also has been busy being a good aunt to her four nieces and three nephews. 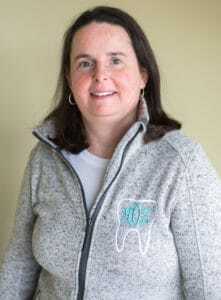 Tina earned her dental credentials from St. Louis Community College at Forest Park and has almost two decades of experience working in dental health care. 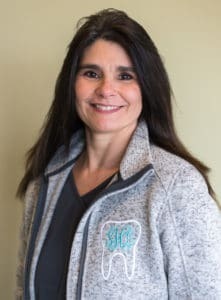 As a dental hygienist, she’s generally responsible for cleaning teeth, patient education, taking X-rays and intraoral photos, along with scaling and root planing with anesthesia. If you ask Tina what she loves most about her work, she’ll tell you it’s helping her patients achieve improved oral health through in-office and at-home care. She says the office is unique because it has multiple doctors and a large team who are able to use advanced tools and technology to help all patients achieve excellent oral and overall health. Tina loves taking exercise classes and spending time outside with nature when she’s not busy at the office helping patients and their smiles. Jenny attended St. Louis Community College at Forest Park, earning her dental hygiene credentials in 2012. Jenny loves all things dental hygiene, taking care of smiles, educating patients about their teeth, and diagnosing/treating oral diseases. She’s a valuable part of our team because she committed to helping her fellow team members and caring for our family of patients. When Jenny isn’t taking care of teeth, you’ll probably find her being a wonderful mother to her two toddlers, Brielynn and Preston with another bundle of joy on the way. She also is a mom to a hound dog named Cooper Dean. Katie attended school at St. Louis Community College at Forest Park. She stays busy at work taking X-rays, conducting oral cancer screenings, help patients with at-home care instructions, doing perio charting, cleaning teeth, and administering fluoride treatments. 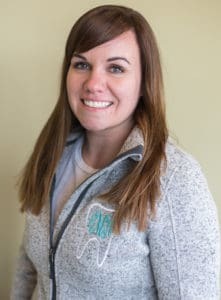 Being a dental hygienist also gives Katie the opportunity to make patients smile, help them take care of their teeth, and build long-lasting relationships. She says the Healthy Smiles of St. Louis team is unique because everyone provides a standard of care that is above and beyond the status quo. Katie is an only child who loves being outdoors, playing sports, volunteering with Give Kids A Smile, and traveling. Rebecca has education and advanced training for expanded functions dental assisting from Allied Medical College and Nichols Career Center. She also completes numerous hours of continuing education every year, including training at the prestigious Spear Institute. Rebecca loves working in dentistry with nearly two decades of experience. She’s been with our office for nearly seven years. She stays busy at the office as a chairside dental assistant, ordering the necessary clinical supplies to help things run smoothly, helping with insurance claims, and fills in part-time at the front desk. Rebecca enjoys being part of our dental family because she says our mission statement really shows that everyone cares about doing what’s best for our patients and their overall health. She’s also proud to work with two charities that help educate and treat underprivileged kids. Rebecca says she enjoys helping the dentist and focusing on learning new things. Outside of work, Rebecca is happily married with three children. The family loves playing games and just spending quality time with each other. She also likes attending band concerts, painting, drawing, and decorating cakes. With over two decades of experience working in dentistry, it’s easy to see why Stacie loves being a dental assistant. She’s been with our office for six years and is responsible for setting up the treatment rooms for when the dentist needs to take a dental impression, answering the phones, taking X-rays, sterilization, insurance tracking, scheduling appointments, pairing models, creating bleaching trays, taking clinical notes, and assisting with fillings and crowns/bridges procedures. Stacie enjoys getting to know her patients and making sure they always feel comfortable and ease during treatment. Like the rest of her team members, Stacie loves volunteering with Give Kids A Smile every year and learning new skills through continuing education. In her spare time, you’ll probably find Stacie camping, boating, hiking, cooking, and being with family and friends. Patti has been working in dentistry since 1981, and she’s been with our office since 1992. Her expertise and experience are just a couple of reasons why we’re proud to have her as part of our extended dental family. She has advanced training from The Schuster Center for Professional Development in Arizona, the Spear Academy, and Patti is also CPR certified. 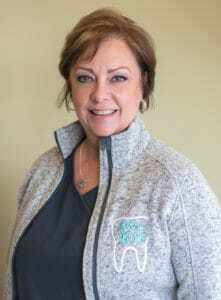 Patti is responsible for setting up the operatories for specific dental procedures, assisting the doctors when taking dental impressions, and helping out anytime she’s needed. She says she loves being a dental assistant because it gives her the opportunity to work with a unique family of colleagues who genuinely want to make patients feel comfortable and cared for in the best way possible. When Patti isn’t hard at work in the office, she enjoys volunteering with Give Kids A Smile, attending dental seminars, cooking, hiking, and spending time with her family. Madison is a graduate of Truman State University with a B.S. in biology. One of her primary responsibilities in the office is to assist the dentists chairside during procedures and make sure every patient feels comfortable. She also helps patients and her team members prepare for treatment and assists with taking dental impressions before sending them off to the lab. 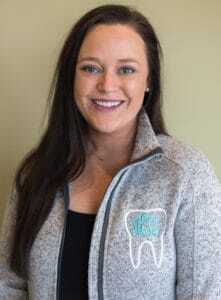 Madison enjoys dental assisting because it gives her the opportunity to constantly learn new things, be a part of a caring team, and develop a sense of community and family with our patients. Madison was recently accepted into dental school and will be starting the program in July of 2019. 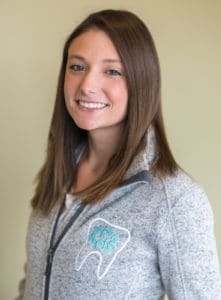 When she’s not busy helping patients in the office, Madison says she’s usually busy taking part in some of her favorite hobbies like hiking, outdoor activities, playing the piano, spending time with her cat Kygo, and traveling. She’s also a part of the Karma Thalo Foundation where she travels once a year to a remote village in Nepal to provide dental care to those in need.